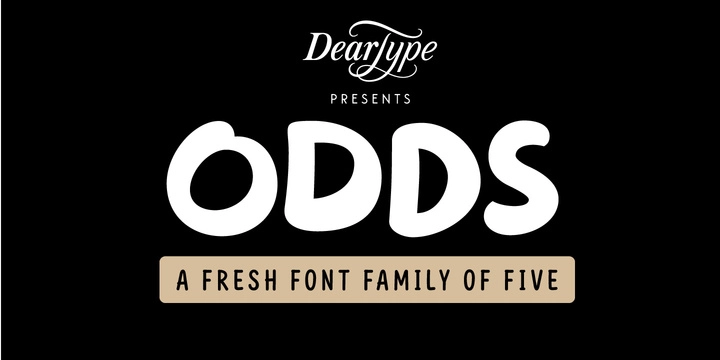 Odds is a handmade typeface created by Veneta Rangelova and published by DearType which comes in five distinct styles (Regular, Sans, Narrow, Extras, Symbols), useful ligatures & alternates and lingual support. This versatile font is works great for any kind of projects, such as poster, signage, packaging, branding, print, web and so on. Have fun! Price: starting from $30,00 for one font to $75,00 for all 5 fonts. A font description published on Monday, November 6th, 2017 in DearType, Fonts, Veneta Rangelova by Alexandra that has 1,700 views.